Copyright Litigation Blog: Can Copyright Law Stop an Abusive Blogger From Attacking Her Landlord? Can Copyright Law Stop an Abusive Blogger From Attacking Her Landlord? In Katz v. Google, 802 F.3d 1178 (11th Circuit September 17, 2015), the Eleventh Circuit Court of Appeals said "no". 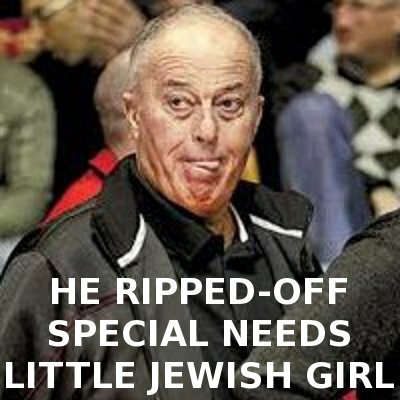 The photograph by photographer Seffi Magriso was originally published in Israel's Haaretz newspaper in an article about Plaintiff Ranaan Katz wishing to purchase the Hapoel basketball team in Jerusalem. Landlord Ranaan Katz (an owner of the Miami Heat team) then obtained an assignment of the copyright in the photograph and then sued Disgruntled Tenant blogger for direct copyright infringement for the publications that appeared on her blog. The 11th Circuit considered the question of whether Disgruntled Tenant Blogger's use of the photograph was "fair use" under the Copyright Act, 17 U.S.C. 101 et seq. In analyzing Factor 1: purpose and character of the use, the 11th Circuit found the use to be primarily educational: criticizing and warning others about Kanaan and his business practices. The 11th Circuit rejected Kanaan's characterization of the work's use as being "commercial" because the blogger had expressed the desire to write a book about her travails. The 11th Circuit found the use to be transformative, even though it used the entire work (sometimes without colorful captions) because the photograph was being used to ridicule and satirize Katz. Factor 2: Nature of the Copyrighted Work: the photo was candid, previously published, and primarily "factual" in nature, entitling it to a lower level of protection than a fictional work would have. Factor 3: Amount of the Work Used. The court found that Disgruntled Tenant Blogger's use of the entire photo without modification ten times on her blog to be necessary to her message that "Katz is a predatory commercial landlord". Factor 4: Effect of the Use on on the Potential Market for the Work Since Katz bought the photograph trying to stop the publication "as an instrument of censorship against unwanted criticism" the 11th Circuit found that Katz' changing his mind and trying to sell the photo to be "incredibly remote" and thus Disgruntled Tenant Blogger's use of the photograph had no effect on the market. You can find the full opinion under the name Katz v. Chevaldina here. An excellent, comprehensive discussion of the case by Prof. Eric Goldman on Forbes titled "You Can't Buy A Copyright Just To Bury It"
There are examples of purchases of copyrights to successfully bury bad information in the case of celebrities (check out Copyright Has A Free Speech Problem), but the Katz situation shows that such strategies may backfire. For more information check out Wikipedia's entry on The Streisand Effect, a term coined by TechDirt's Mike Masnick. For more information about how to litigate faire use issues under the Copyright Act, please check out Copyright Litigation Handbook (Thomson Reuters West 2015-2016). Copyright Litigation Handbook devotes an entire chapter to cease and desist letters and declaratory judgments actions pointing out the potential consequences of an ill-advised communication or legal action in situations like these.